We have been taking advantage of the free cooking classes offered at the nearby natural foods grocery store. 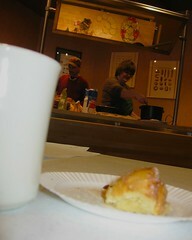 But, the session called “The Wonderful World of Donuts” might be not has healthy as some of the others! !